Orlando Lakes & Wetlands is proud to be an environmentally friendly company. We are committed to protecting natural environments, conserving resources, and educating our clientele on environmental issues. 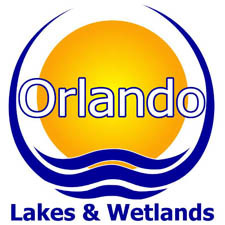 Orlando Lakes & Wetlands has incorporated the theme of sustainability to every business decision such that we may play a role in conservation from macrocosmic issues like global climate change to local issues such as water scarcity and aquatic vegetation management. In order to prioritize our environmental stewardship we have focused on eight areas where we can have the greatest positive impacts on the environment. *Gulf Coast Lakes & Wetlands educates its clientele on the effects of nutrient loading in/around waterways. *Gulf Coast Lakes & Wetlands employs when possible natural methods of nutrient reduction and algae prevention including; aerating waterways, the use of enzymes and bacteria to reduce sludge, and algae prevention rather than treatment. *Gulf Coast Lakes & Wetlands uses energy efficient lighting. *Gulf Coast Lakes & Wetlands conserves energy in its offices by using efficient appliances and office machines as well as limiting overall energy consumption. *Orlando Lakes & Wetlands, by trade, limits the growth of exotic plant species in natural upland and wetland areas to ensure the survivorship of native plants, animals, and ecosystems as well as to ensure the perpetual success of important biological processes. *Orlando Lakes & Wetlands controls exotic and nuisance vegetation in Florida’s waterways to ensure the survivability of aquatic ecosystems, and to facilitate freshwater recreation, transportation, and commerce. *Orlando Lakes & Wetlands restores and constructs environmental areas including littoral zones, wetlands, and upland areas in order to; provide habitat for native species of plants and animals, ensure there are areas for biological processes to take place, increase community aesthetics, increase oxygen exchange, offset carbon emissions and ultimately help slow global warming, reduce nutrient loading, and prevent soil erosion. Rhizofiltration - filtering water through a mass of roots to remove toxic substances or excess nutrients. The pollutants remain absorbed in or adsorbed to the roots. Gulf Coast Lakes & Wetlands takes advantage of the remediative qualities of plants through aquascaping and lake bank planting projects that also have the added benefits of improving aesthetics and increasing habitat for aquatic animals. *Gulf Coast Lakes & Wetlands performs regular maintenance on all vehicles and equipment to maximize gas efficiency and reduce fuel consumption. *Gulf Coast Lakes & Wetlands uses Nitrogen in its tires for additional fuel efficiency. *Gulf Coast Lakes & Wetlands is in the process of moving towards fuel efficient vehicles with diesel and hybrid engines. *Gulf Coast Lakes & Wetlands organizes its accounts such that they will be serviced in an order that will maximize fuel efficiency. *Gulf Coast Lakes & Wetlands has active recycling programs in all of its offices, staff lounges, and garages. *Gulf Coast Lakes & Wetlands actively removes litter from environmental areas and waterways. *Gulf Coast Lakes & Wetlands recycles all of its herbicide containers and the packaging they arrive in. *In 2007, Orlando Lakes & Wetlands recycled 1,500 lbs of plastics that would have otherwise been added to local landfills. *Gulf Coast Lakes & Wetlands uses electronic means of communication whenever possible to reduce paper consumption. *Gulf Coast Lakes & Wetlands uses recycled paper products. *Gulf Coast Lakes & Wetlands promotes water quality by enforcing Best Management Practices and relaying information about them to our clients. *Gulf Coast Lakes & Wetlands limits the overgrowth of exotic and nuisance species in our waterways. * Gulf Coast Lakes & Wetlands installs native aquatic plants wherever possible. *Gulf Coast Lakes & Wetlands constructs wetlands to help store and filter water resources. Reduce energy usage by 5% in all of our offices. Recycle or reuse 100% of plastic, paper, and glass materials consumed. Increase our usage of natural pond/lake maintenance products by 10%. Increase the placement of aeration systems in our managed lakes to help reduce the quantity of chemicals required to achieve lake health and homestasis. Ensure that 50+% of company vehicles are diesel, hybrid, or alternative fuel vehicles (100% by 2015). Install a minimum of 1,000 native trees, 10,000 native shrubs, and 50,000 native aquatic plants in Florida’s natural areas.